Summer accelerates into full swing as we head into August, the month of full veraison, pushed along by the intense stretch of heat we had the third week of July. Now is the time when the grapes flesh out, when Chardonnay becomes golden and the reds take on their darker hues. Thankfully, temperatures have moderated with the return of the marine layer. We want even ripening, not excessive heat spikes. August at the schoolhouse means the second of our annual bottling sessions, and we have six wines to take from barrel to bottle: three wines from the 2014 vintage and three from the 2015 vintage. That will keep our hearty volunteer crew busy for the first two Wednesdays in August. And it will give us some much-needed space in the cellar for the fast approaching 2016 harvest! We’re getting ready to roll out the barrels, literally. Out in the vineyard, we’ve been de-leafing, tucking loose canes into wires and soon we’ll be measuring sugar levels, especially on the first to ripen Pinot Noir grapes. 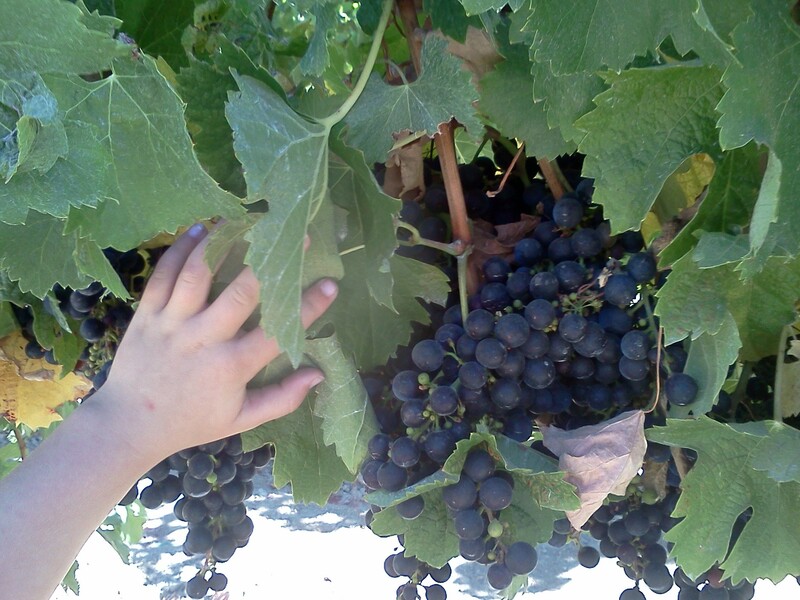 Last year we began harvesting the Pinot on August 19th, the earliest ever here at Burrell School. Winemaker Dave expects this year’s harvest to start in early September and to be much more fruitful than our 2015 crop. What could be more pleasant than a day spent watching the vineyards ripen in the summer sun? We’re planning on making Saturdays in the tasting room even more pleasant for our guests by featuring live music every Saturday in August. We loved being serenaded by the beautiful music of Mikael playing his Ukranian stringed instrument, the bandura. We think the vines enjoyed it too! So come bring a picnic, buy a bottle of Burrell School’s finest and enjoy your stay as the Chardonnay turns golden and the Pinot blushes its prettiest shade of grape-purple. August 6th and 7th, Sippers Club Session in the gazebo garden. Taste your August wine selections, enjoy Chef Desiree’s savory appetizers, along with live music and a special surprise courtesy of Anne and Dave. August 27th, live music on the tasting room deck with our friends, the Wildcat Mountain Ramblers, who were the first to perform their special genre of music in the newly restored schoolhouse back in the beginning of July. Anne and Dave were filmed dancing to an emotional rendition of Tennessee Waltz, which caught the onlookers up in a whirlwind of nostalgia. Check out the video on our Facebook page.